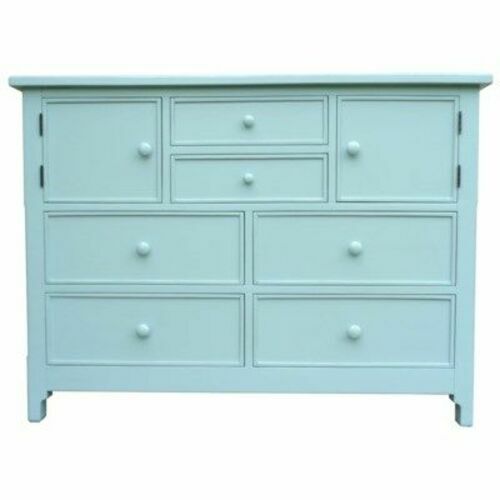 The Chesapeake Dressing Chest is the latest in our coastal cottage furniture line. This product is custom made from plantation-grown and kiln-dried mahogany, mindi wood, and premium hardwood veneers. 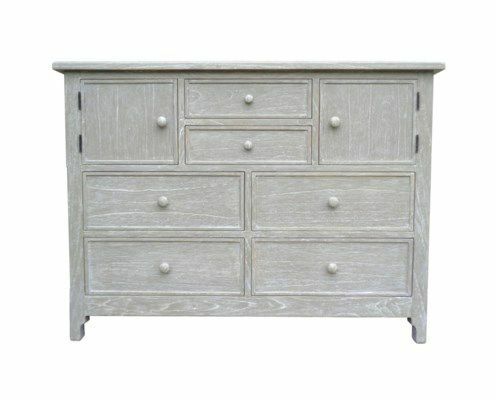 Each piece is handmade, hand painted and hand rubbed creating a lightly-distressed appearance. 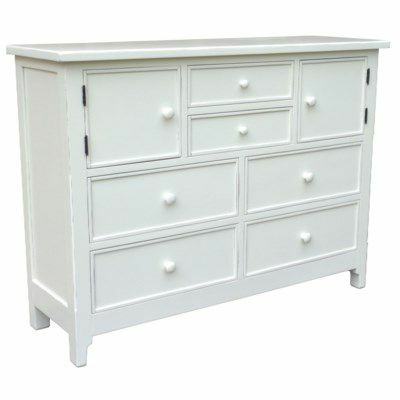 All drawers run on metal glides for smooth function. Traditional woodworking techniques like tongue-and-groove and mortise-and-tenon joinery, along with corner blocking for structural integrity, make this an heirloom piece of furniture. 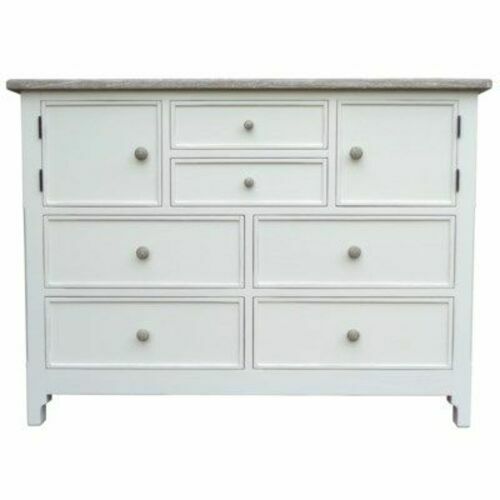 Shown here with the white base and riverwash top.